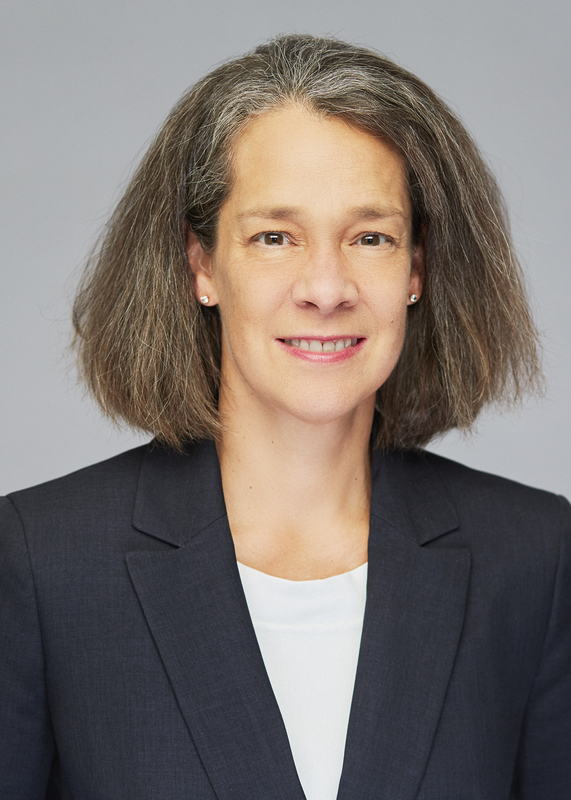 Jackie G. Prester offers extensive corporate, regulatory and securities experience to financial institutions, public company clients, and broker-dealers and investment advisers. Represented a bank client in the acquisition of a $637 million loan portfolio. Assisted a client in establishing deposit intermediacy relationships. Developed resyndication model securities documents for a captive broker-dealer with a large, repetitive volume of private securities offerings. 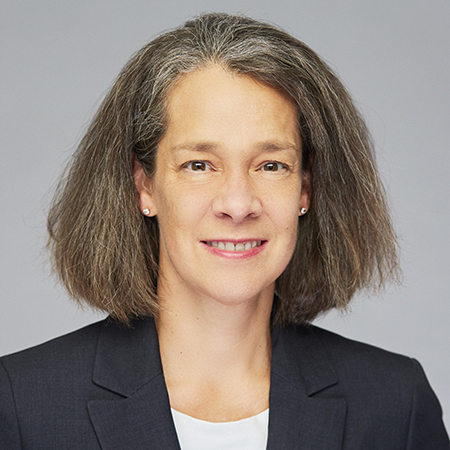 Ms. Prester is chair of the Firm's Financial Services Transactions Group. Financial Institutions: Ms. Prester has extensive experience forming, converting, buying and selling banks and trust companies. She provides securities advice to financial institutions with respect to securities offerings, and SEC reporting requirements. Ms. Prester represents clients in buying, selling and securitizing loans. She regularly counsels clients on various bank regulatory issues, including compliance with newly enacted statutes and regulations and regulatory enforcement actions. Ms. Prester worked as a national bank examiner with the Office of the Comptroller of the Currency from 1987 – 1993. Broker-Dealers & Investment Advisers: Ms. Prester regularly counsels broker-dealers and registered investment advisers on compliance issues and assists them with acquisitions within the industry. Ms. Prester has specific experience advising clients as to the applicability of broker-dealer and investment adviser rules in the context of various types of private funds. Corporate & Securities: Ms. Prester serves as securities counsel for public company clients. Ms. Prester routinely advises companies raising capital through private placements of securities, as well as offerings registered with the SEC. Ms. Prester has specific experience advising clients on securities issues relating to the EB-5 Immigrant Investor Program. Ms. Prester advises corporate clients on strategic alternatives, negotiating mergers and acquisitions on behalf of clients. Negotiated the acquisition of a broker-dealer with a national platform in trading and securitizing Small Business Administration (SBA) loans. Negotiated the sale of a bank to an investor group. This transaction involved complicated structuring considerations to allow the sale of an entire bank with certain existing shareholders retaining ownership after completion of the sale transaction. Negotiated the sale of a bank to a non-depository institution. This transaction is one of the few transactions involving a sale of a federally chartered bank to a non-depository institution and has involved unique regulatory issues to accomplish the transaction. Assisted a bank in a conversion to a Tennessee non-depository trust company. Structured the acquisition of a commercial mortgage company by a bank in a complex multi-step transaction. Represented a trust company client in sale of the company and the formation of a new trust company with respect to the spin-off of certain trust lines of business, including filing regulatory applications with state trust regulators. Negotiated the share exchange roll-up transaction involving multiple trust companies and registered investment advisers and assisted client with regulatory applications involving multiple regulatory agencies. Represented multiple private and public company bank clients in purchases of branch banking offices. Represented a trust company client in acquisition of ESOP line of business. Represented a bank client in the acquisition of factor line of a business. Represented a client in the formation of a bank holding company and acquisition of a small community bank located in west Tennessee. This transaction was significant because it effectively allowed the control group to begin a denovo bank through an acquisition of a very small community bank. Assisted a public company banking client in a "going private" transaction to de-register from the Securities Exchange Act of 1934. Represented financial institution clients in private offerings of securities, including common stock and subordinated note issuances. Represented multiple private bank clients in tender offer transactions. Represented a public company issuer in $69 million follow-on registered offering of common stock. Represented a purchaser in the $50 million acquisition of a mortgage company and private placement offering of senior debt to fund acquisition. Securitized a $44 million unguaranteed portion of a USDA loan extended to a borrower for the purpose of developing and operating a commercial-scale renewable diesel production facility. Represented a bank issuer in the offer and sale of capital notes to investors. This transaction was significant due to the complex ownership structure of the holding company and various restrictions on offering securities imposed by the operating agreement of the company. Engaged by a trust-only federal savings bank client with offices in more than 15 states to analyze and evaluate whether to convert to a state chartered trust company, and if so, which state would be the best state to hold a state trust charter. Assisted a client in forming loan origination assistance relationships. Represented a bank client with a flow purchase and servicing agreement for commercial real estate mortgages, advising on regulatory requirements for third party vendor contracts. Represented multiple bank clients in the sale and transfer of mortgage servicing rights and modification of such agreements. Negotiated various vendor contracts, including data processing contracts, advised clients on particular provisions required by bank regulators to be included in such contracts. Represented a bank in the sale of its credit card portfolio and entry into a joint marketing arrangement. Represented SEC registered investment advisers in the establishment of more than 20 separate private "fund of funds" via a Series LLC structure. The work is notable in terms of structure as the Series LLC structure is not typically used. Further, establishing the funds required working through significant and complex investment advisory, broker-dealer, investment company, and commodities regulatory issues to establish a framework to permit the client's underlying investment advisory clients to participate in various investments that they would not otherwise be permitted to invest in because of the very large minimum investment amounts required per investor. Assisted multiple investment adviser clients in drafting various marketing agreements, client agreements and non-solicitation agreements. Assisted broker-dealer clients in developing protocol for vetting potential investment banking engagements. Negotiated multiple purchases of investment advisers on behalf of financial services clients. Assisted investment advisory clients in modifying/re-drafting ADV Part II brochure. Advised multiple clients on registration requirements for broker-dealers and investment advisers. Represented a broker-dealer firm in the securitization of the $44,550,000 unguaranteed portion of a $198 million loan, the remainder of which was guaranteed by the United States Department of Agriculture. This transaction was significant because it was the first time the client had placed a securitized loan product, and the securitization of the non-guaranteed portion of a USDA loan represents a new financing structure for this type of loan product. Served as an adviser to a registered investment adviser in establishing a series fund to offer and sell interests in private fund advised by the client; helped the client establish a structure that will afford flexibility for future funds with minimal additional work required to establish new series within the existing fund structure. Negotiated a technology company acquisition and restructuring of the client's commercial lending facility. Negotiated an acquisition of a food industry target. Represented a private technology company in roll-up involving simultaneous acquisition of three companies through leveraged lending transaction with private fund lender. Represented a target public company in a reverse merger transaction, including SEC registration statements to register merger consideration and securities issued in concurrent private placement offering. Negotiated the leveraged sale of a private company client to an ESOP for $60 million. Represented EB-5 program sponsors in various private offerings of securities. Represented a contract food manufacturer, assisting it in the acquisition of an appetizer manufacturer in a complex transaction requiring coordination with two commercial lenders, two institutional mezzanine creditors, and potential and actual litigation claimants against the target institution. Representation also included negotiating a real estate lease/purchase option transaction, issuance of client subordinated debt, assumption of certain employee benefit plans, and labor/employment challenges. This transaction was important for our client because it enabled them to build upon its appetizer line of business and opened the door to an important strategic relationship with key retailers to support revenue growth. Represented an IT solutions provider in its purchase of a Wisconsin-based venture company for $15 million in a combined private stock and cash transaction. The transaction involved refinancing with new senior debt and financing (combined $23.9 million) with detachable warrants. Named the Best Lawyers' 2019 and 2017 Memphis Securities/Capital Markets Law "Lawyer of the Year"
Named the Best Lawyers' 2016 Memphis Banking and Finance Law "Lawyer of the Year" and the 2016 Memphis Financial Services Regulation Law "Lawyer of the Year"
Named by EB5 Investors Magazine as one of the "2018 Top 15 Corporate Attorneys"
Memphis-based Jackie Prester is praised by clients for her in-depth knowledge of banking M&A and regulatory compliance. She also regularly advises public companies on securities offerings. I'm very impressed with her. She does a good job with the content of the work, and anytime her name is mentioned people just gush.